Team Handball is a large ball sport played by two teams consisting of seven players each side by passing a ball using their hands with the aim of throwing the ball in the opponent’s goal. The game was originated at the end of 19th century in northern Europe mainly in Germany, Denmark, Sweden and Norway. It is most popular in the countries of continental Europe. The sport was introduced at the 1936 Summer Olympics but is a regular member since 1972 games. The global governing body of team handball is International Handball Federation (IHF) which was formed in 1946 and has 197 member federations. To score more goals than the opponent team by legally throwing the ball into the opponent’s goal. Two teams of seven players each including a goalkeeper compete against each other to win the match. Team handball is played on a rectangular court which is 40 m long and 20 m wide with a goal area at both ends of the court. The longer boundary lines of the court are called sidelines and the shorter ones are called goal lines. The goals are 3m wide and 2m high and are surrounded by a 6m semi-circular zone (goal area). A dashed semi-circular line, 9m from the goal, surrounding the goal area marks the free-throw line. The goal area consists of a goalkeeper’s restraining line which is 15cm long directly in front of the goal at 4m. A 1m long line parallel to the goal line and 7m away from it is called the 7-meter line. The court contains a center line which connects the midpoints of the sidelines. 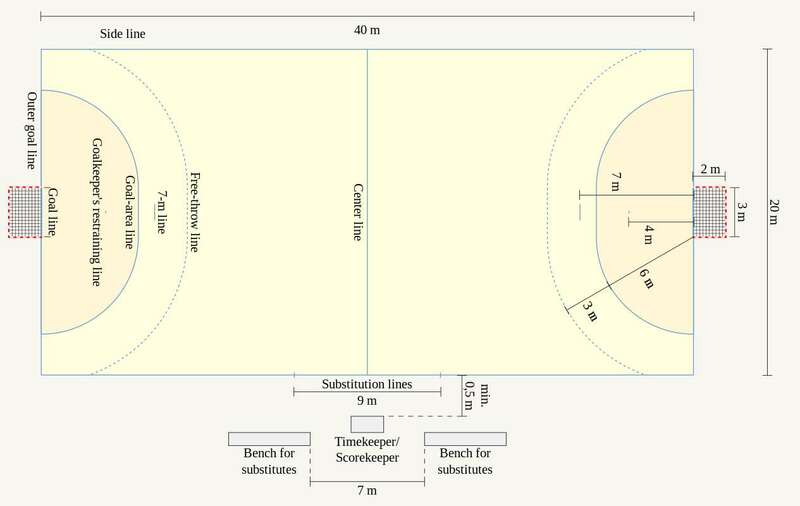 It also contains two substitution lines, one at each half of the court at a distance of 4.5m from the center line. 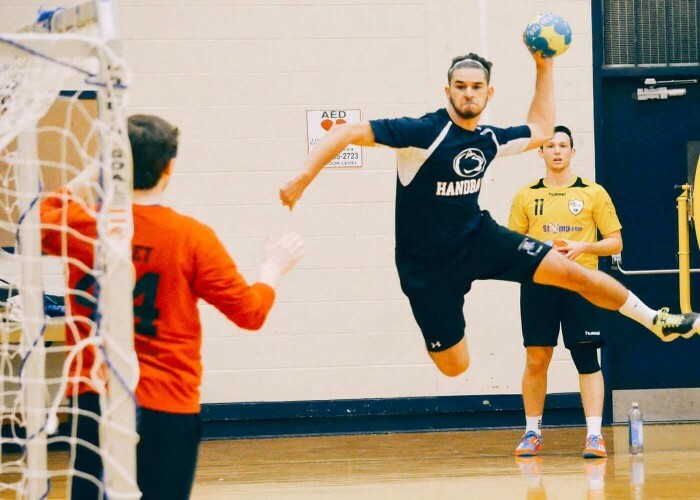 A two-time Olympics champ who is also considered as one of the best pivot players in the world, Bertrand Fabien Gille is a French handball player. He has been awarded with the Player of the year award in the 2002 and also holds a number of accolades under his name. Linnea Marie Torstenson is a female handballer from Sweden who plays as a left back for Nice Handball and retired from the Sweden national team in February 2017. Torstenson was thrice the part of the national team when it competed in the Olympic Games (2008, 2012 & 2016) and was bestowed with the award of Cetățean de onoare ("Honorary Citizen") of the city of Bucharest in the year 2016. Anders Eggert Magnussen is a left wing handball player from Denmark. Currently, he is playing for club SF Flensburg Handewitt and has a record of scoring 2320 goals in 415 matches for SF Flensburg Handewitt, as of Aug 2016. 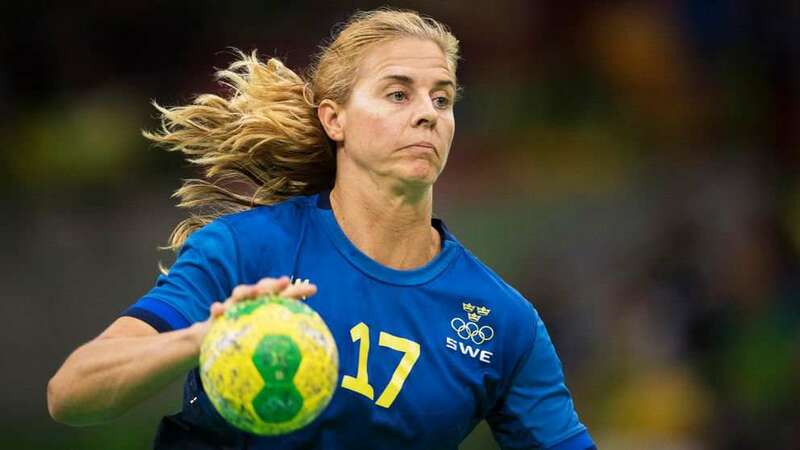 Gro Hammerseng-Edin is a former handballer from Norway. She last played for the club Larvik HK and was the captain of the Norwegian national team for many6 years. In 2007, she was voted as the female World Handball Player of the Year.